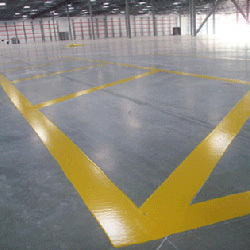 Safety striping provides occupational health and safety benefits as well as increased productivity and organization. Diama-Shield is able to install safety striping in compliance with OSHA requirements as well as applicable and building codes. 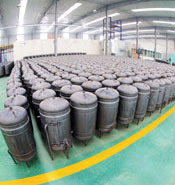 Other areas in plants, warehouses and industrial buildings benefit from clearly demarcated staging areas, equipment pads and material handling vehicle paths. 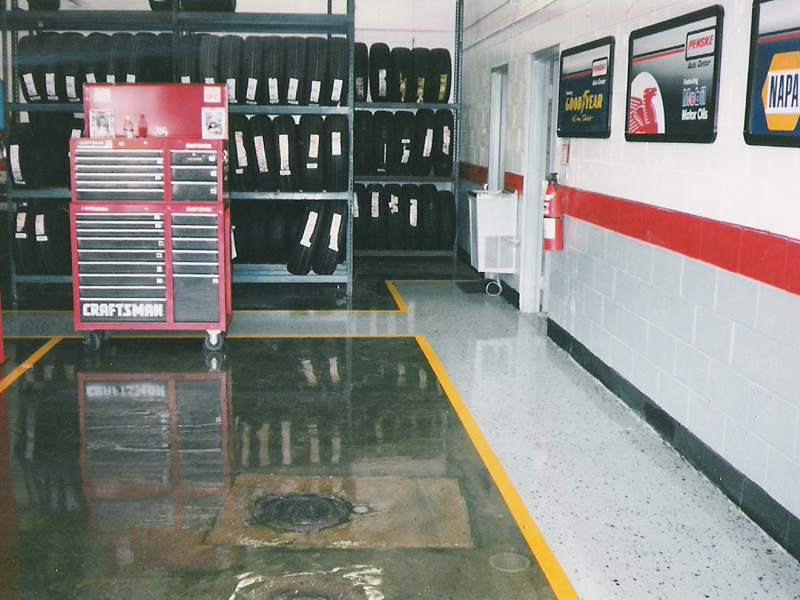 Safety and productivity are improved by having safety striping professionally installed. 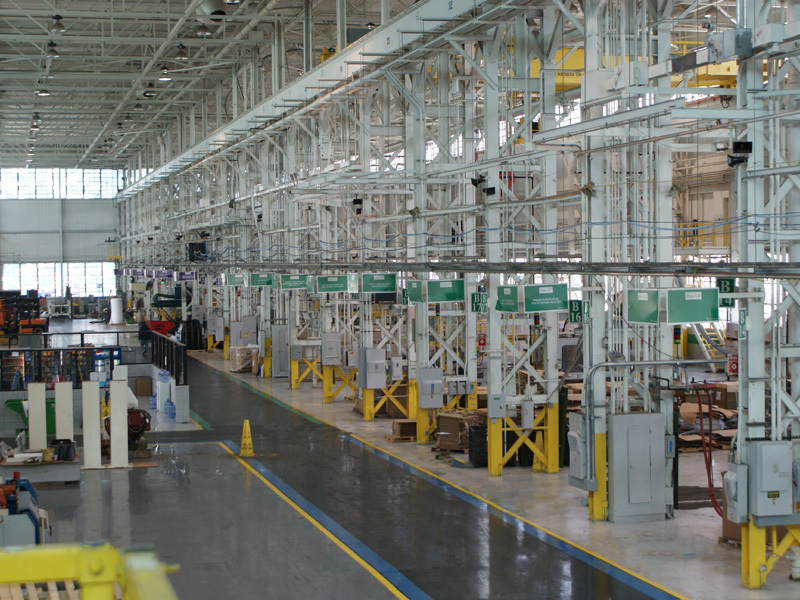 Trip hazards and uneven slabs represent avoidable injuries and unnecessary losses in productivity. Diama-Shield can efficiently grind and level trip hazards to protect the public, provide a safer work environment, increase productivity and reduce potential liability claims. The Americans with Disabilities Act (ADA) defines a trip hazard as any vertical change of ¼” or more at a joint or crack in a walkway surface. Federal law requires removal of all trip hazards from pedestrian walkways. 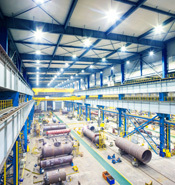 Failure to comply with the ADA can result in costly fines and complex legal claims. Diama-Shield's process leaves sidewalks and other means of ingress and egress safe, accessible and attractive. 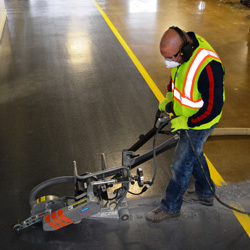 Cost Savings: Concrete grinding and leveling the most cost effective and least disruptive method of eliminating trip hazards. Regulatory Compliance: Comply with the Americans with Disabilities Act, OSHA regulations and local building codes. 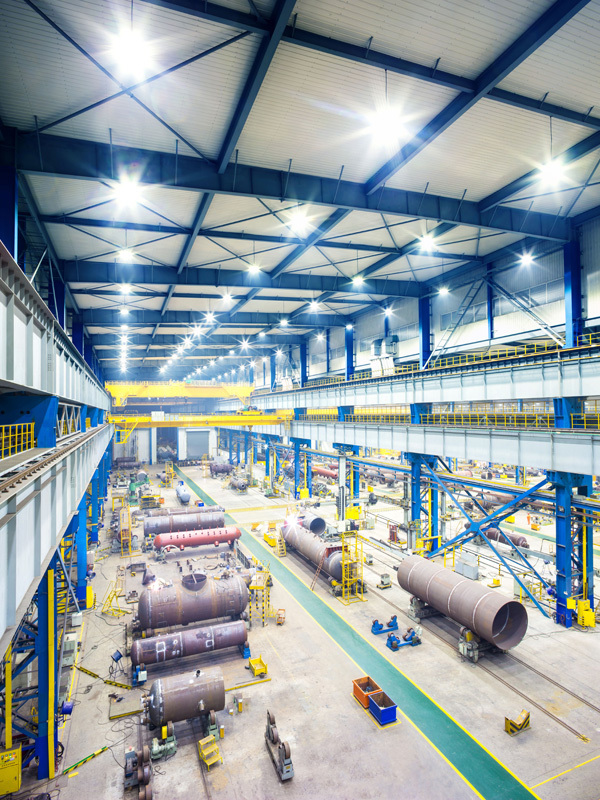 Avoid Liability Issues: Removal of Trip Hazards will greatly reduce the exposure to trip and fall lawsuits and other liability claims. Lower Insurance Costs: Realize lower insurance rates by implementing a trip hazard removal program. 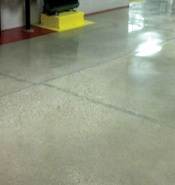 Diama-Shield has the ability to repair and resurface damaged concrete by installing cemetitious overlays. Repairing damaged slabs is far more cost effective and less disruptive than ripping out and replacing a damaged but structurally sound slab. Overlays also provide the ability to add new colors, finishes, performance attributes, textures and patterns to make an old floor look and function better than the original surface. 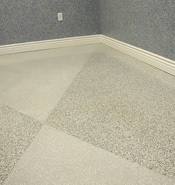 Self-leveling concrete overlays are recommended where a smooth or polished finish is desired. 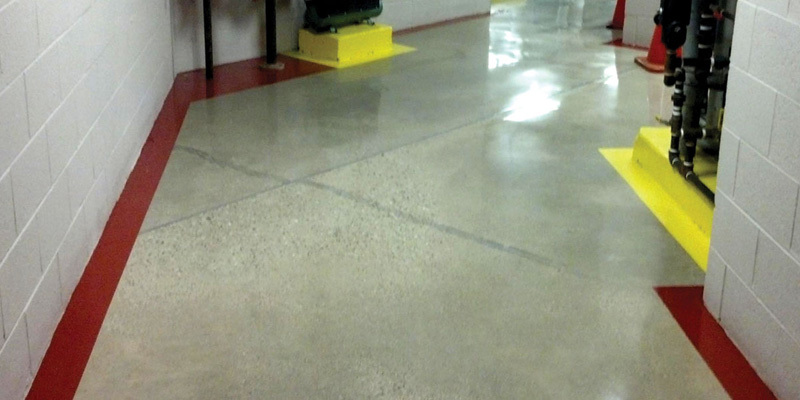 This type of overlayments is designed to smooth and level out a damaged, pitted or rough concrete surfaces. An average self-leveling overlays is 1/4 inch thick but can be installed at thickness of up to 2 inches in a single application. 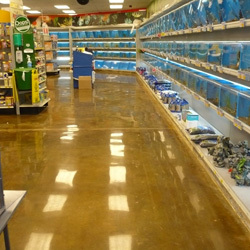 Self-leveling systems are flowed over an existing substrate to provide a smooth, level, functional surface. 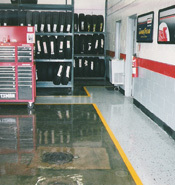 Self-leveling overlay systems for con offer numerous advantages. 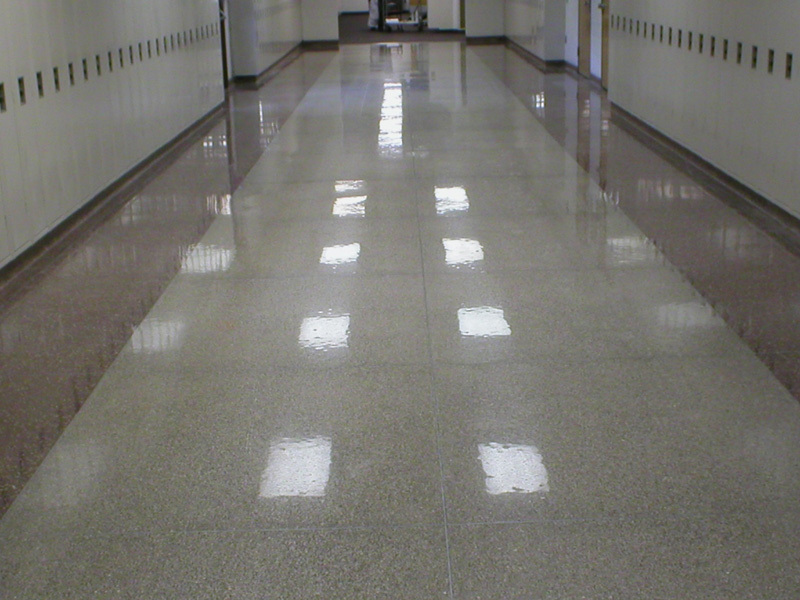 They can correct uneven floors, repair damaged concrete, and provide a smooth and durable new surface for decorative treatments. 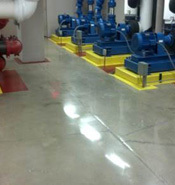 These flowable polymer-modified toppings have the ability to self-level without troweling, making them a quick solution for smoothing and leveling worn or uneven concrete. 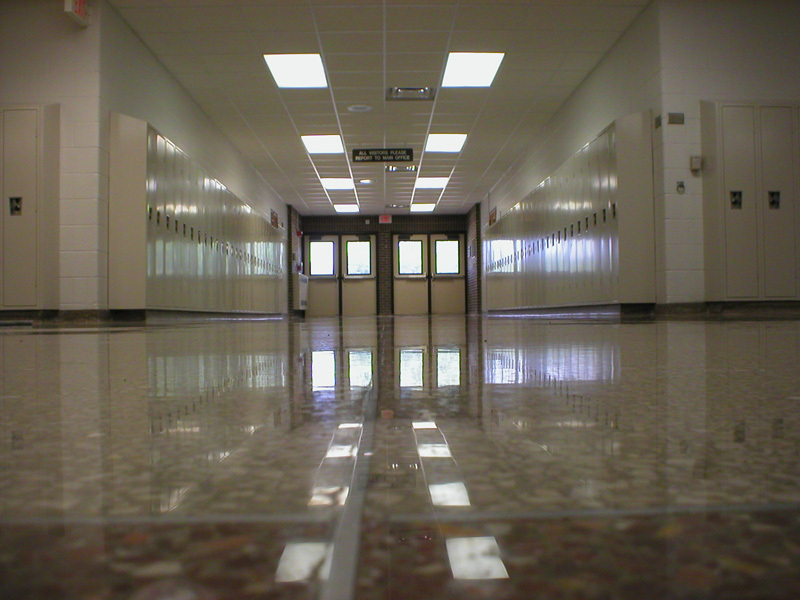 In many cases, self-leveling toppings serve a purely utilitarian purpose, such as correcting uneven or damaged floors or serving as an underlayment for tile, carpet, or other floor coverings. 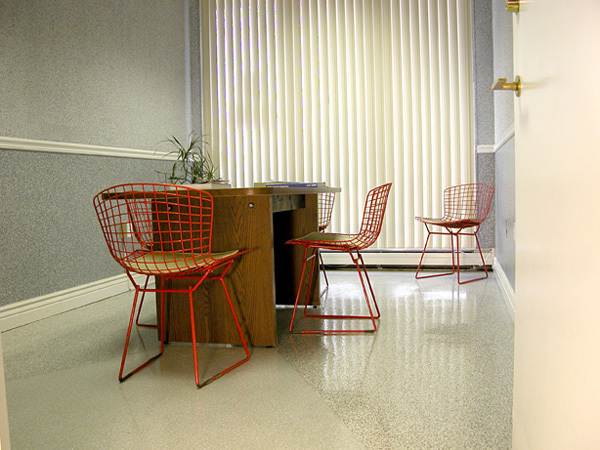 Self-leveling overlays can also be used for decorative purposes. Integral colors can be added or the cured surface may be enhanced by using concrete stains and dyes. The overlay can be left seamless (except at control joints) or used as a canvas for saw cut or engraved designs. Decorative inlays, such as strips of wood or metal, can be incorporated into the design element to give a custom, high end appearance. Cement-based microtoppings and skim coats can be used both indoors and out to provide a clean canvas for decorative treatments, such as stains, dyes and stenciled patterns. 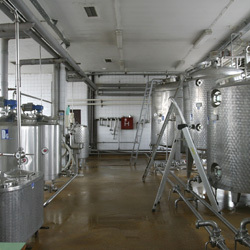 Some systems come pretinted in a wide range of colors, while others can be custom tinted by mixing in the desired amount of liquid coloring agent. Interesting color variations can be achieved by applying layers of different hues. 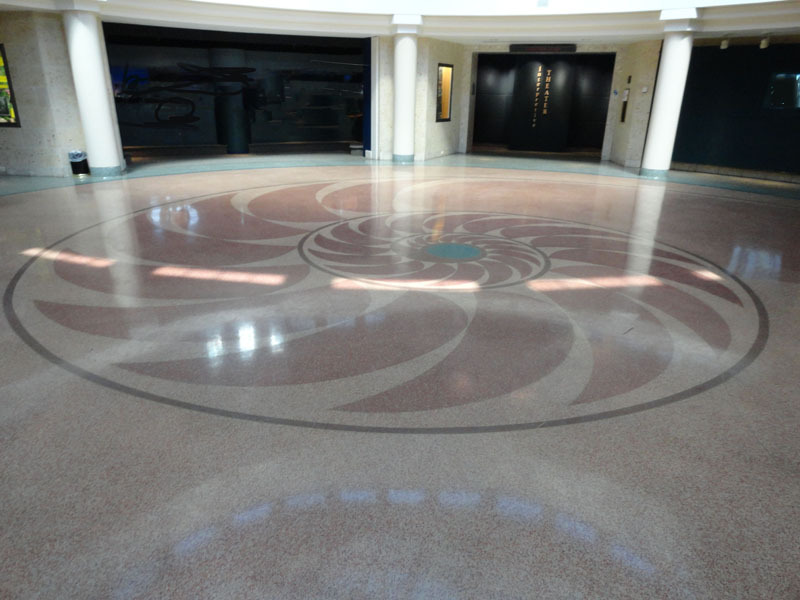 Concrete stains and dyes are increasingly popular ways of adding color and decorative elements to polished concrete floors. A limitless array of colors, designs and effects are now possible with advances in stain and dye technologies. 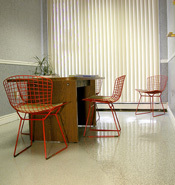 Colored concrete is an affordable way to dramatically improve your floor’s appearance. Concrete stains and dyes can be combined with artistic saw cutting or sandblasting to create individualized distinctive looks. 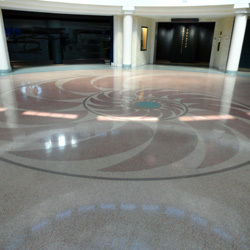 Let Diama-Shield help you transform your drab concrete floor into a stunning architectural showpiece. 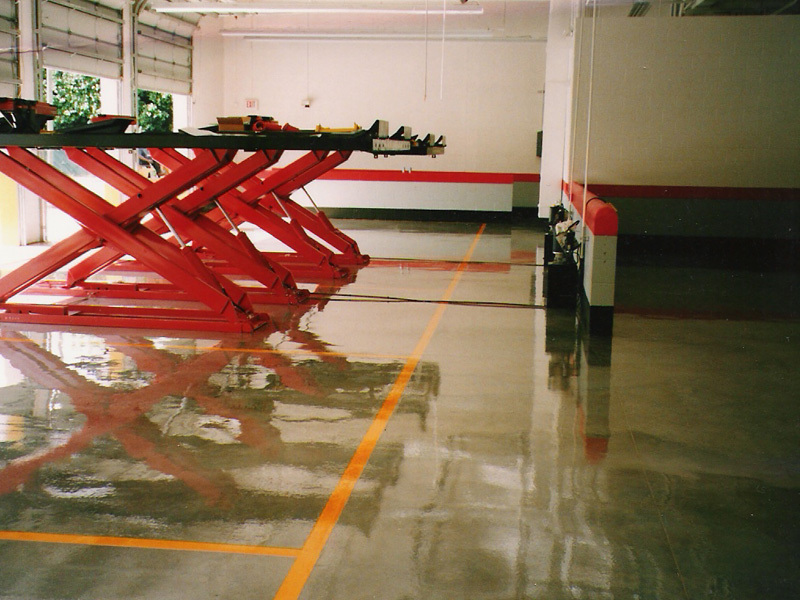 Concrete stains penetrate the surface and react with the hydrated lime in concrete to produce permanently colored concrete. 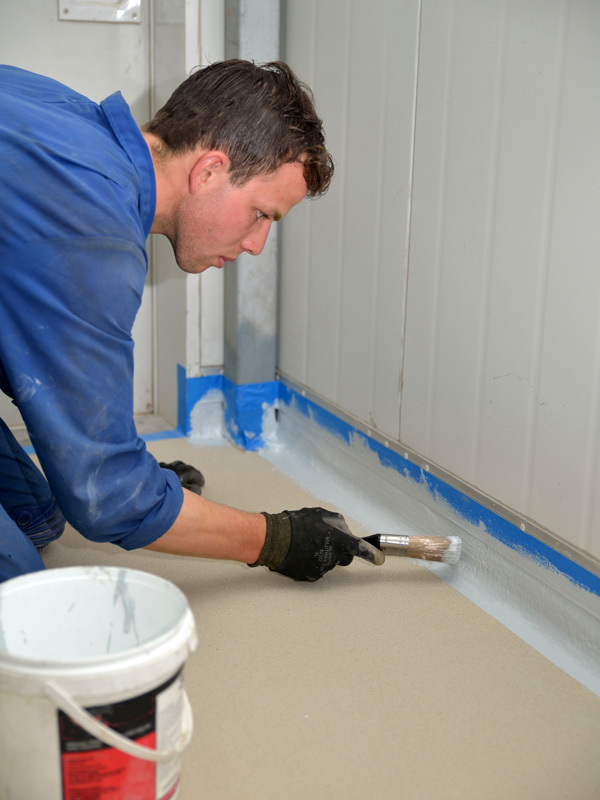 Once stains react with concrete, they color change becomes a permanent part of the substrate. 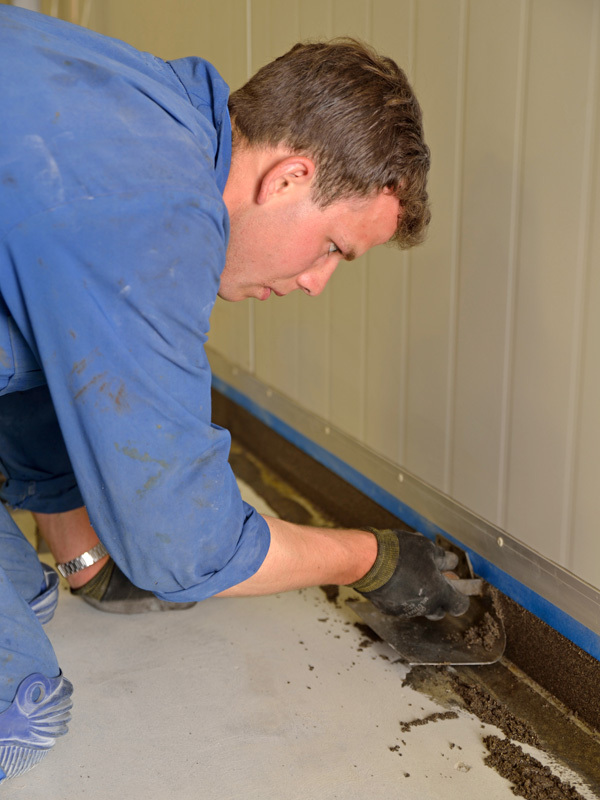 Concrete stains will not chip, peel or wear away. 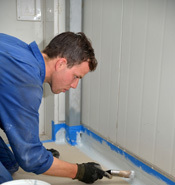 Because concrete stains are UV stable, they can be used indoors or outdoors and will not fade. 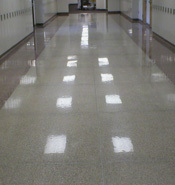 Stains produce translucent, marbled, variegated finishes. Stains are particularly well suited when earth tones like tans, terra cottas, browns, teals, blues and greens are desired. 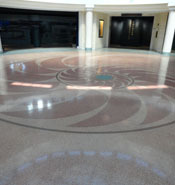 Because they are reactive and translucent, stains allow unique properties of each individual floor to shine through creating distinctive, natural looks which can resemble marble, stone, wood, terra cotta or plaster. 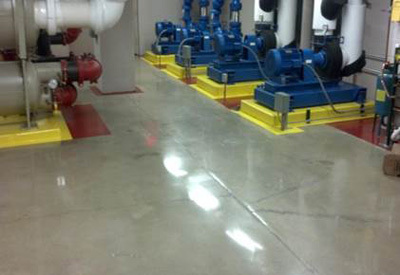 Unlike stains, which react chemically with calcium hydroxide in the concrete, dyes are nonreactive and impart color by penetrating concrete or other porous cemetitious surfaces. 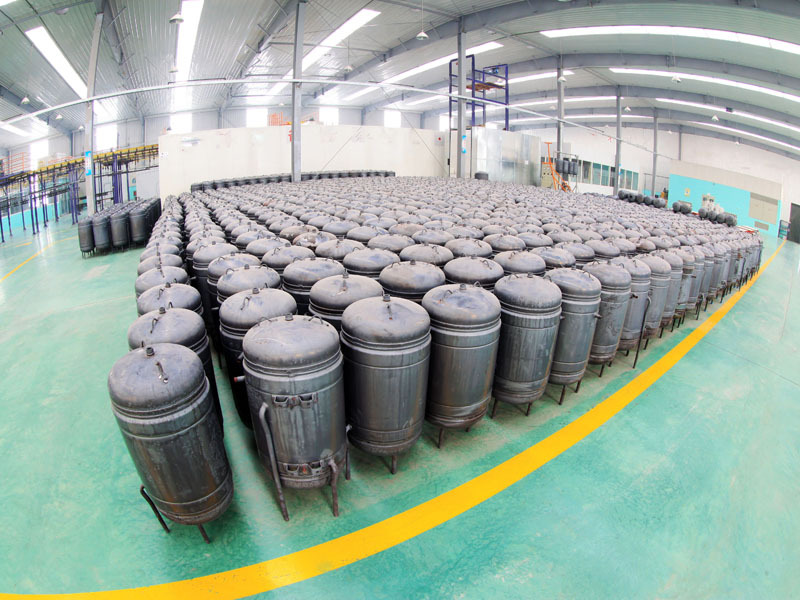 Concrete dyes consist of very fine coloring agents which penetrate concrete surfaces with the aid of a water or solvent based carrier. The dye’s small molecular size allows it to fill naturally occurring voids producing vivid colors by sheer volume of dye particles being locked into the slab. Dyes are commonly used where bright, bold colors are desired. In addition to being available in a wide variety of vivid colors, dyes can also provide more predictable, monotone appearances because they do not rely on a chemical reaction to create a final color or appearance. The dye may be mixed with other colors on site. Dyes are usually applied with pump sprayers, but may be applied with airless sprayer, airbrush, sponge or brush, depending on the desired effect and the size of the area to be colored. With dyes, concrete slabs become canvases upon which artists can create stunning patterns and designs which are limited only by ones imagination. Dyes are often used in conjunction with acid stains to produce a variegated look to complement an already stained floor. For example, a customer may want the graphic variegation of a reactive stain, but in a color not available. A dye can be applied over the stain to give a brighter color while allowing the pattern created by the reactive stain to show through. Dyes might also be applied by hand over parts of a stained surface to "paint" a picture or add highlights or accents. Because the chemical reactions upon which stains rely can be unpredictable and may produce uneven results, dyes can be used to touch-up and even out stained floors to give a natural but more consistent look than would be achievable through only using one concrete coloring method. 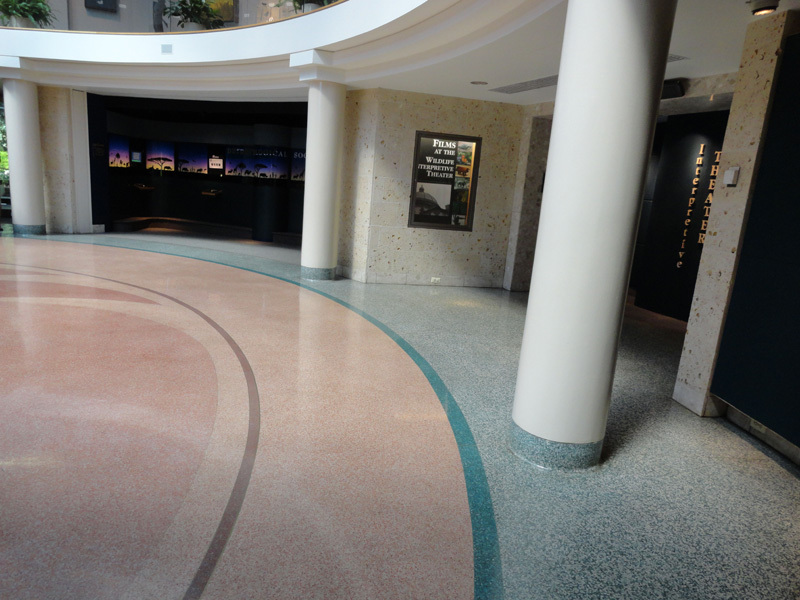 Quartz Flooring is a seamless flooring system consisting of a 100% solids epoxy base coat filled with a custom blend of quartz, marble or ceramic aggregate. 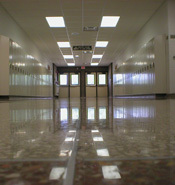 Quartz floors are durable, chemical resistant, anti-slip and easy to clean. 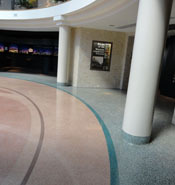 An infinite variety of custom color blends make quartz floors popular when aesthetic and design concerns are important. 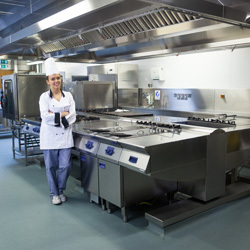 A wide selection of gloss and satin finish coats are also available for varying appearance and exposure requirements. 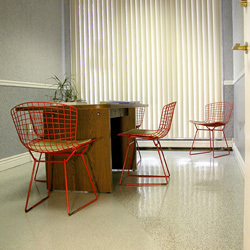 Quartz flooring is UV stable making it suitable for both indoor and outdoor applications. Provide invisible protection without changing the surface appearance or leaving a sheen. 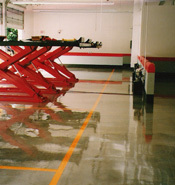 Film forming sealers form a protective film on the concrete surface. 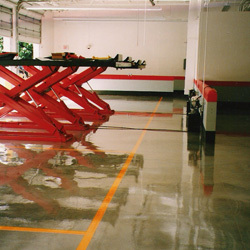 They are most often used on decorative concrete work. This final layer of protection not only prolongs a decorative floors life, but can also enhance and preserve its appearance. Transparent, non-yellowing, highly durable finish. 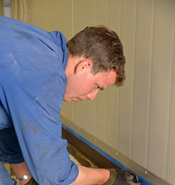 Diama-Shield is a certified installer of GranX epoxy wall coating systems. GranX is a commercial grade seamless epoxy wall coating system that is extremely durable, sanitary, resistant to harsh chemicals and cleaners and easy to clean along with being a solution to Graffiti problems. 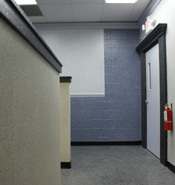 Seamless epoxy wall coatings are very popular in high traffic public areas requiring durability and easy graffiti removal. 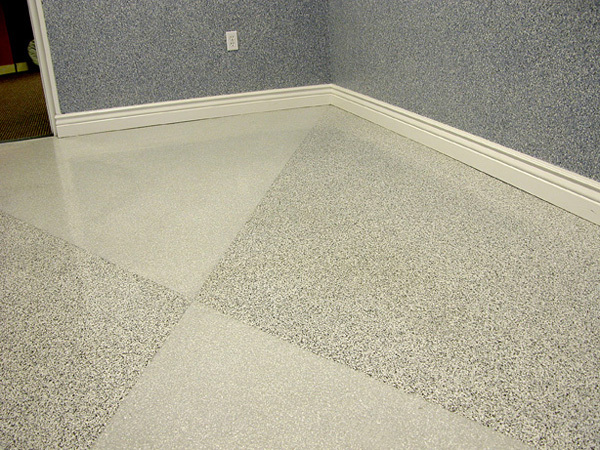 GranX surfaces can be cleaned with pressure water making it ideal for public restrooms, showers, service and residential garages, and basements. A wide variety of colors and textures are available allowing owners to economically transform most building materials into attractive, long lasting durable surfaces. 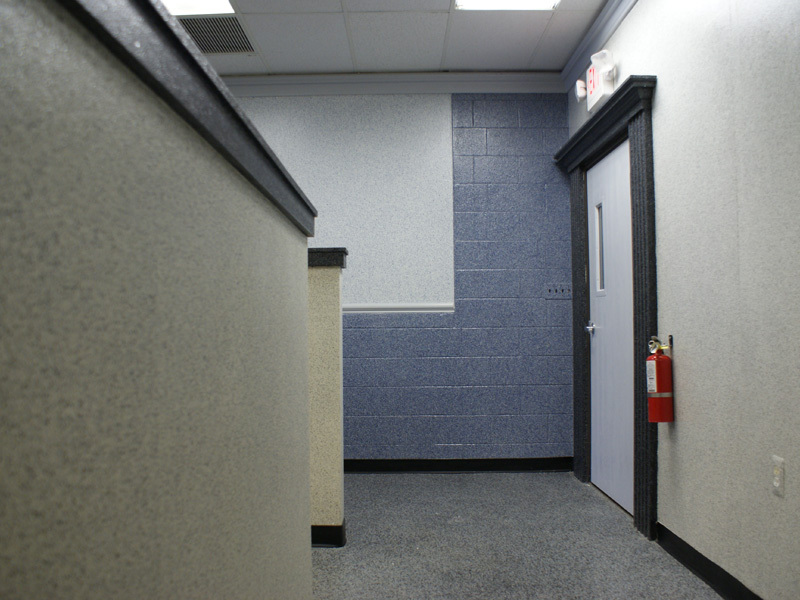 GranX adheres to FRP, ceramic tile, cement block, drywall, wood, wall paper, metal and more.